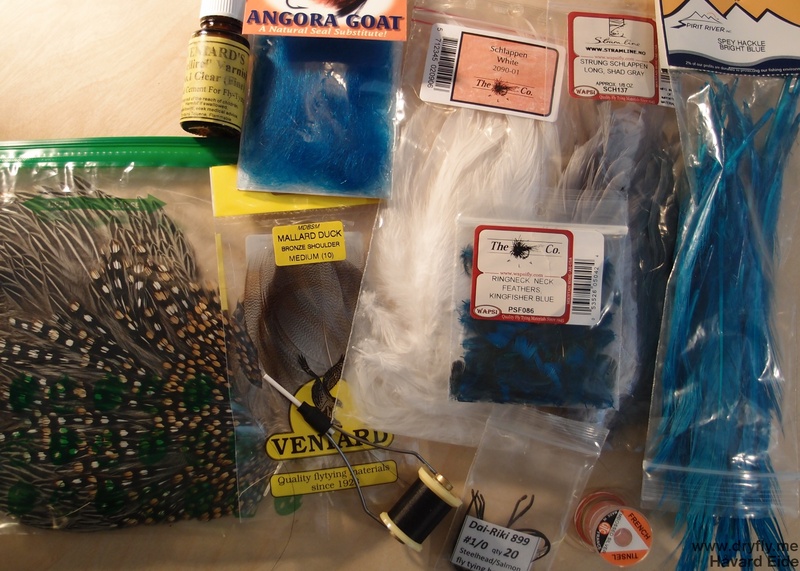 With the theme “sky is the limit” I started with the blue as a center piece and decided to got for a spey-style fly composed around blue/white/grey. 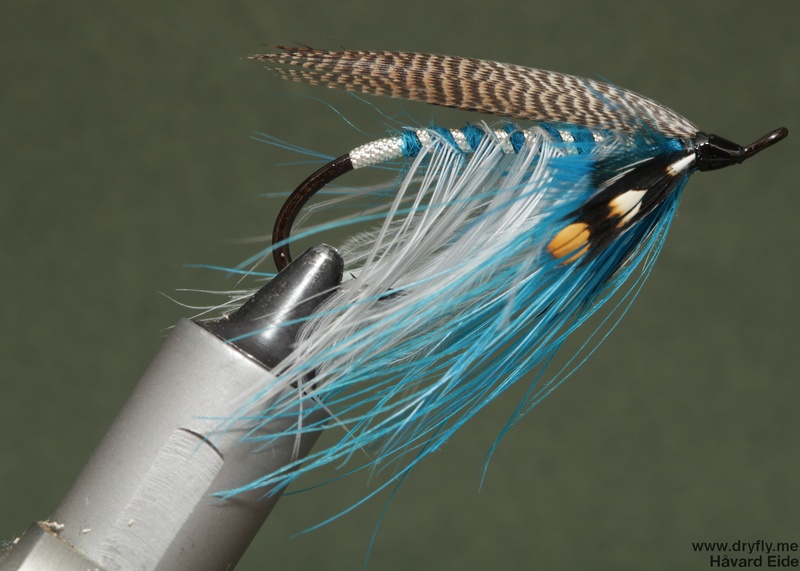 This is the first spey-style fly I have done and I think the colors and flow of it came out ok. The Wing could be a bit flatter, but I did have some issues tying them in.